Looking for signs of spring around school! Finding out about bees using iPads! We have been out on the trim trail. 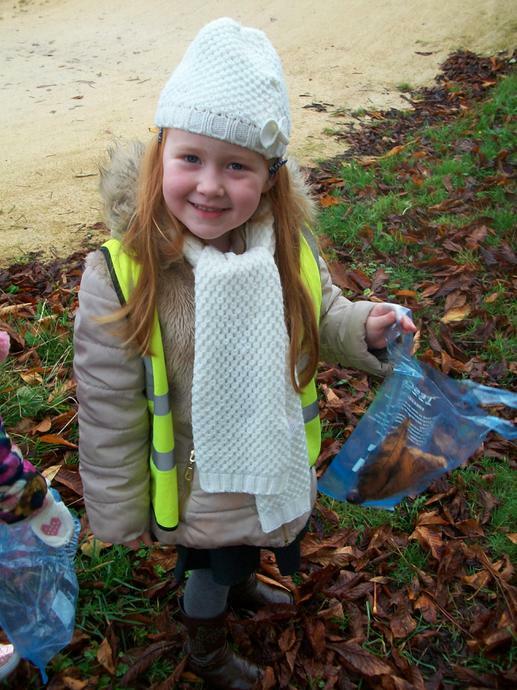 We have also been measuring outside. And seeing whether things are bigger than a metre. Yum! 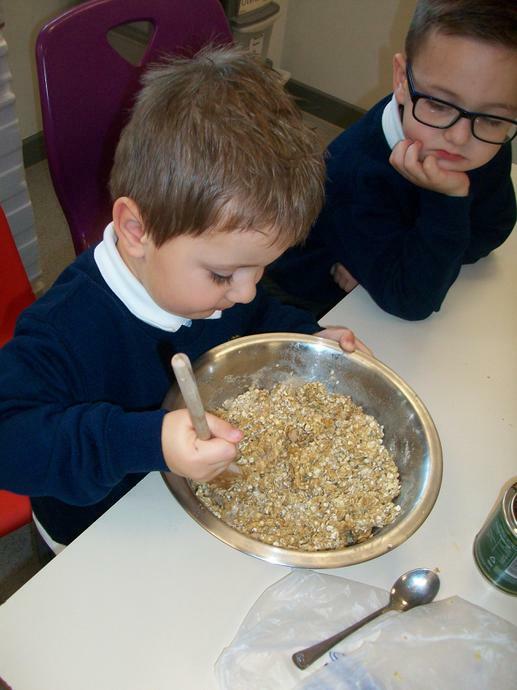 The Italian recipe tastes lovely! We were inspired to make a poster! On the bus on our way to Tesco. Looking for a rainbow of fruit and veg! The door where the lorries deliver. We thought about what foods are healthy! We thought about African jewellery. Then we made our own necklaces. We thought about adding texture. We enjoyed eating pancakes today! We talked about how they could be split into half. We thought about why Shrove Tuesday is important. Amazing writing this week while playing teachers! We made noodles this week for Chinese New Year! and all the different healthy ingredients! We really enjoyed eating the noodles! Some loved it so much they wanted seconds! We used cotton buds to make dots of paint. We used different colours like Georges Seurat. We took our time and persevered! We love learning about Stickman! 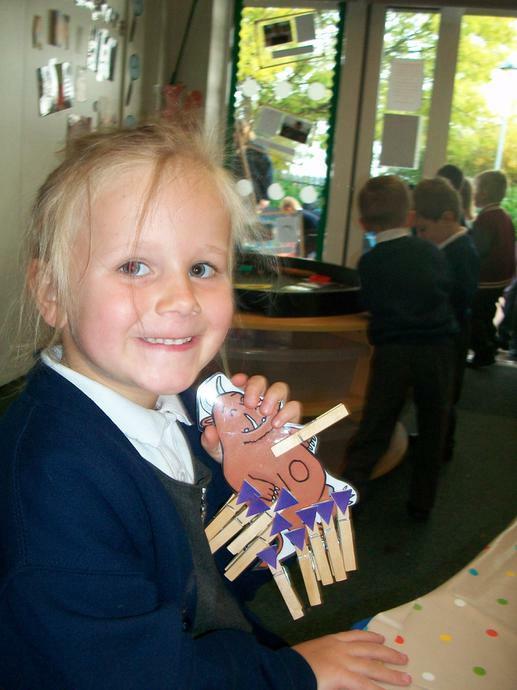 A fabulous stickman- we love his hair! 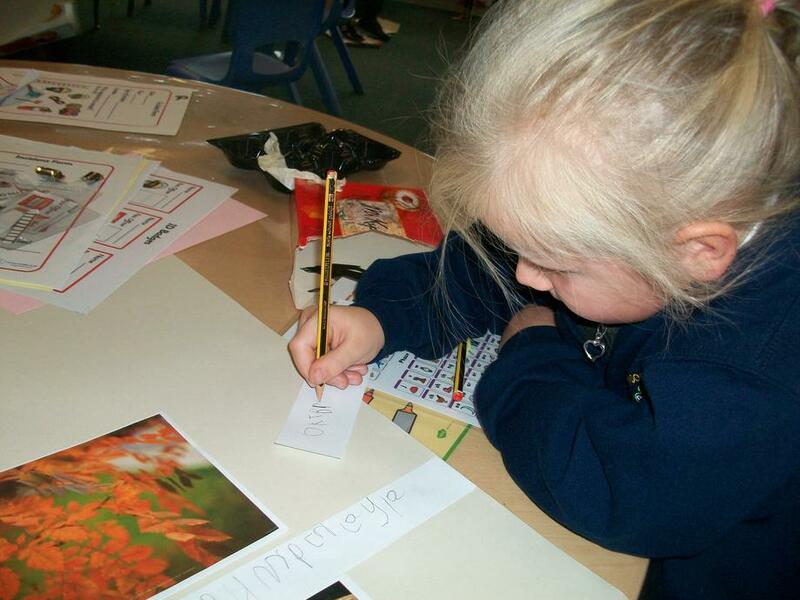 We learnt all about autumn by looking at books and on the internet. 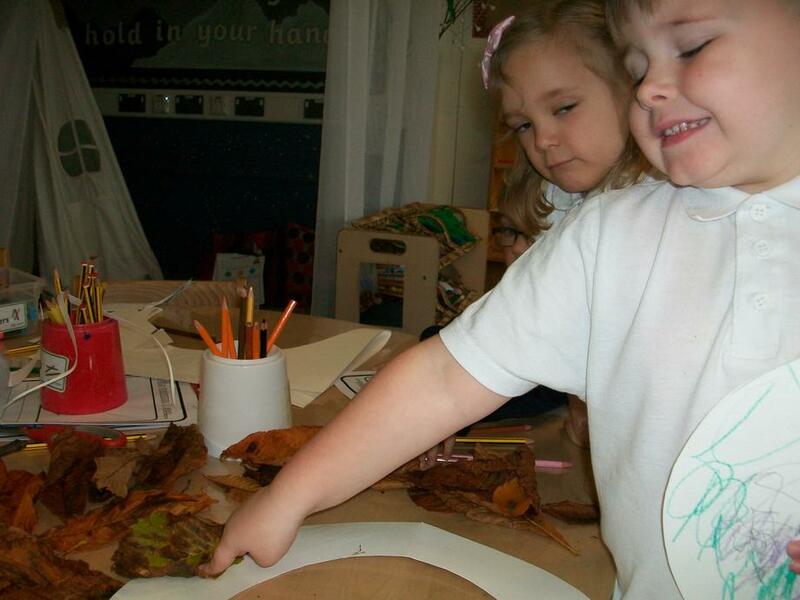 Then we made our own Autumn book. Come and look at it on display outside London class! 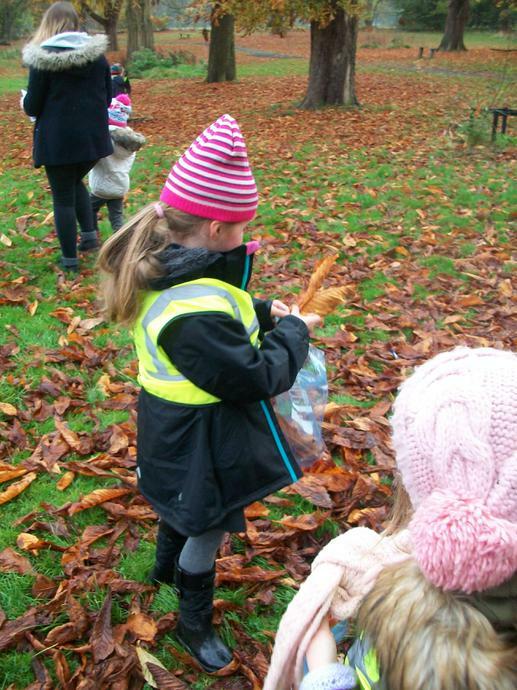 Then we went on an autumn walk in Ringwood Park to collect autumn treasures! When we came back to class we made a wreath with the things we had collected. Oh help! Oh no! It's the Gruffalo! We have had a great time reading the story of The Gruffalo by Julia Donaldson. 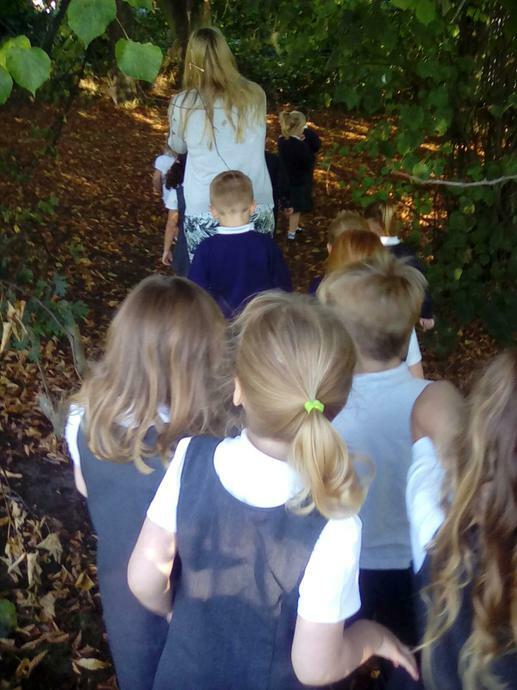 Here are some of the exciting things we have been up to..
We can't wait for next half term when we will be learning about seasons, thinking about Remembrance Day, going on an Autumn walk and having fun in the run up to Christmas! We have been reading the book 'The Enormous Turnip'. 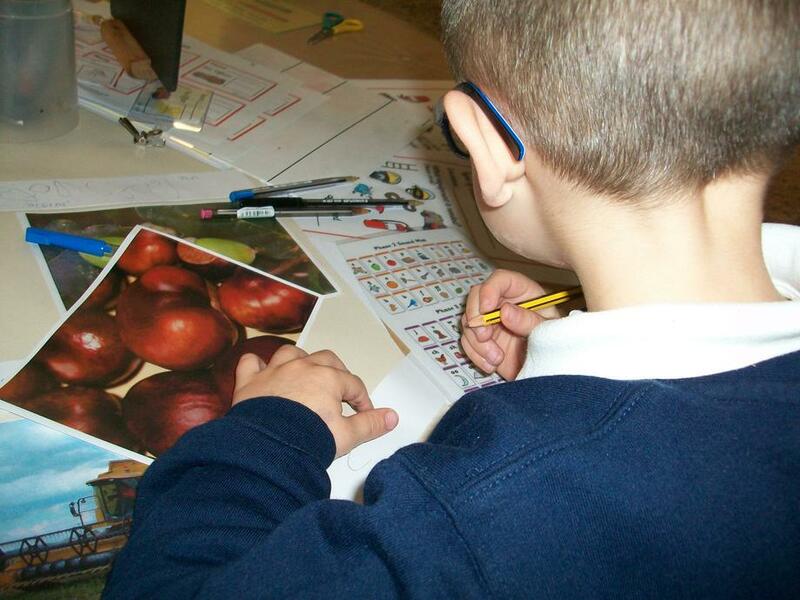 The children have been re-enacting the book and also finding out all about healthy fruit and vegetables and where they come from! The children were amazed when they watched a TV clip about real enormous vegetables! 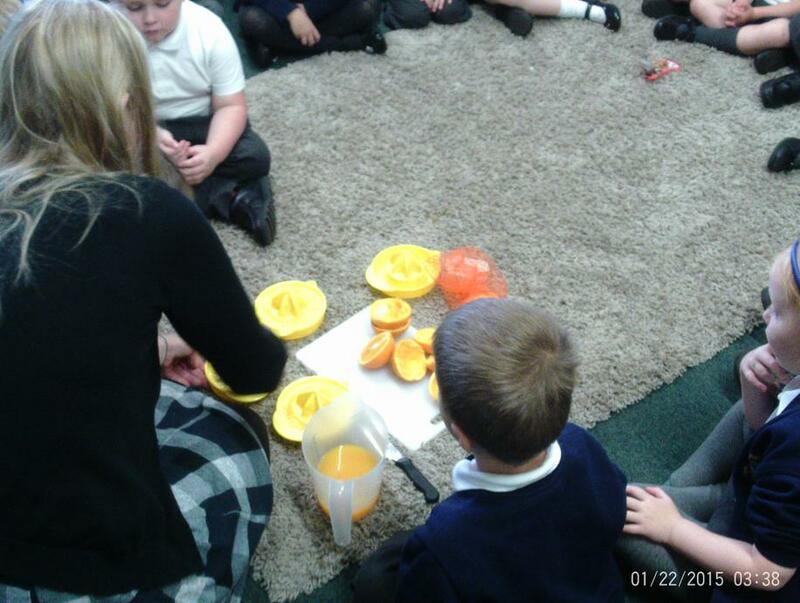 We even had an extra special treat- drinking freshly squeezed orange juice which we made ourselves. It was delicious! Look out for more pictures on twitter! 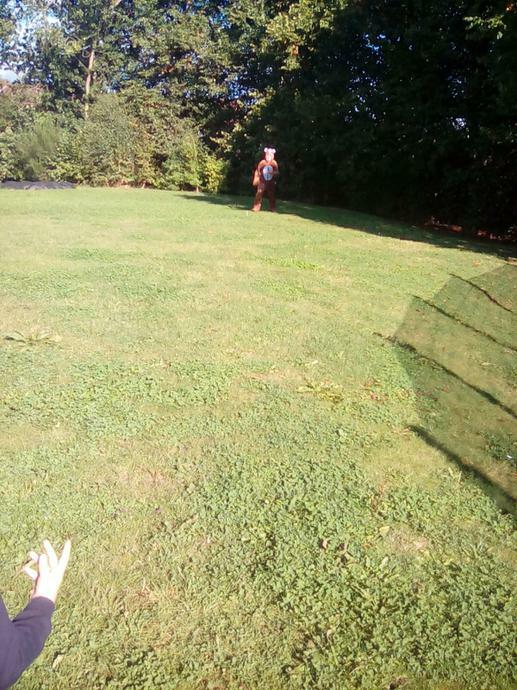 We've been on a bear hunt! 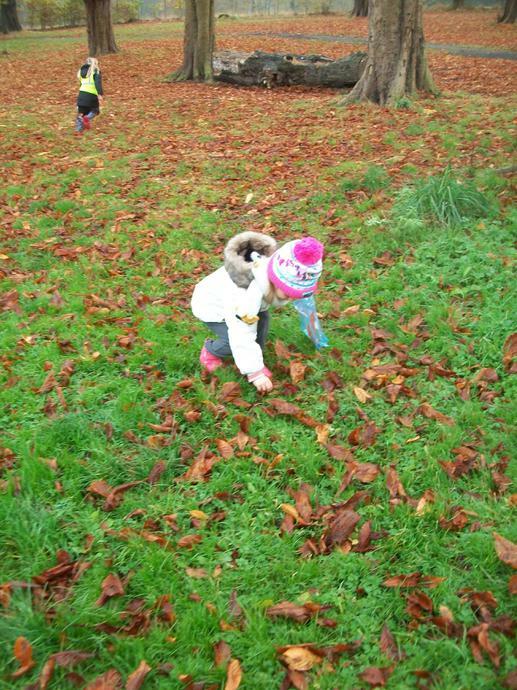 We even spotted a bear in the woodland at Hollingwood. We were so excited and couldn't stop talking about it! 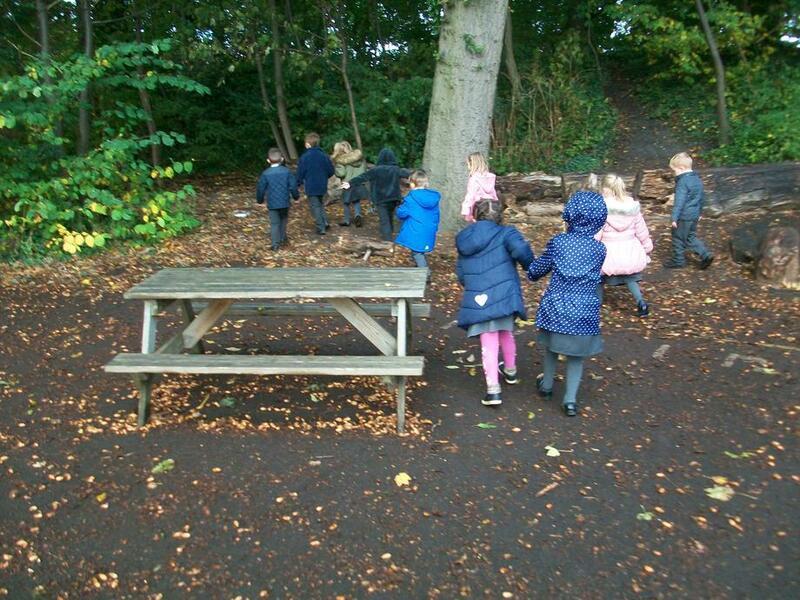 We have been inspired to recreate the real life bear hunt in our play and have even wrote about it! We love retelling the story and think this is a fantastic book!! 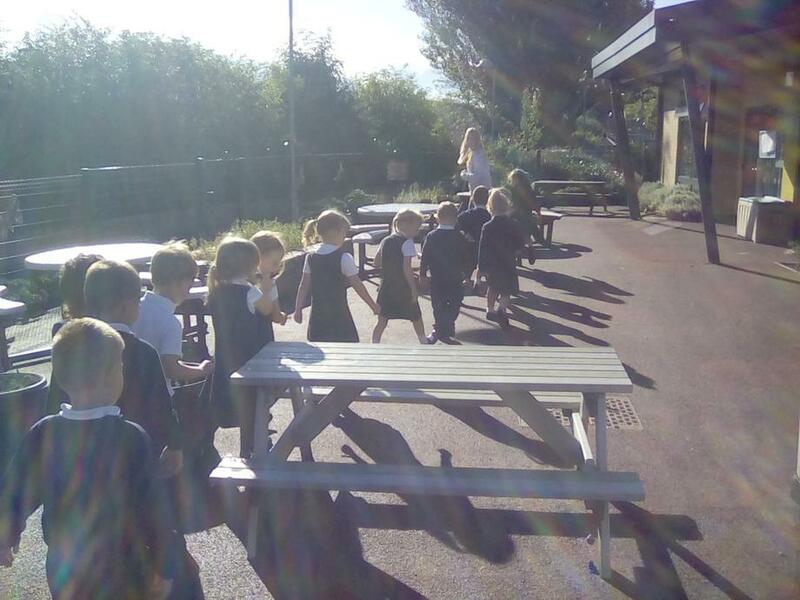 We have had a fab start to the year in Reception! Over this term we will be sharing a range of different books including 'Owl Babies', 'We're going on a Bear Hunt' and 'The Gruffalo'. We will be learning the stories and using actions to retell them (you might want to ask the children to retell you the stories they have learnt at home!). 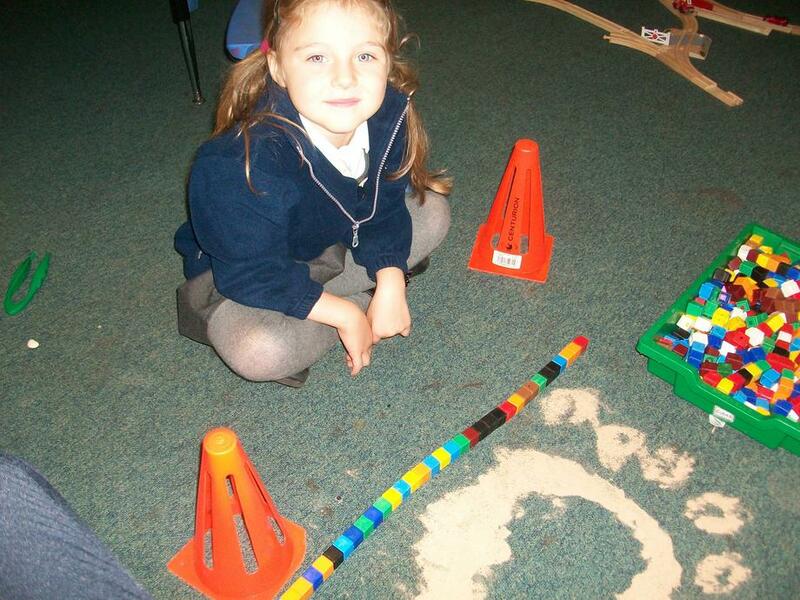 In maths we are focussing on counting and recognising numbers. We are trying our best and learning in lots of different ways. This might be through play or through more structured sessions led by an adult. 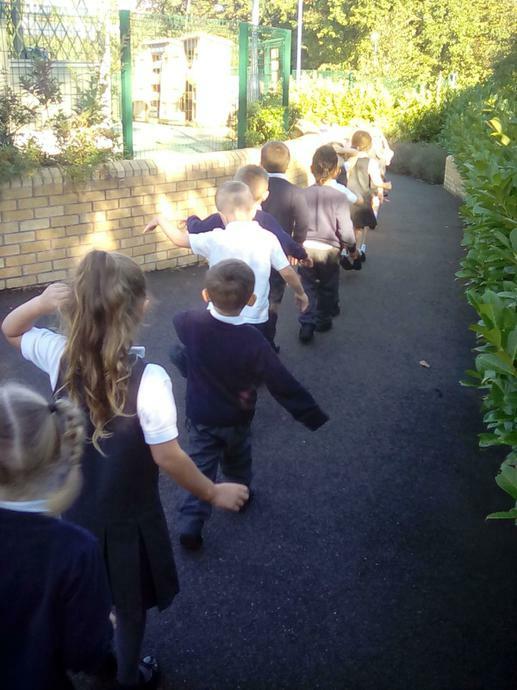 In Reception the children are working hard to settle into new routines, make new friends and show the three R's (respect, responsibility and resilience). We are so proud of what they have already achieved!